Sometimes I need an extra large tote to carry things from one place to another. Nothing fancy, no need for pockets, just a bag that will let me carry largish items easily. 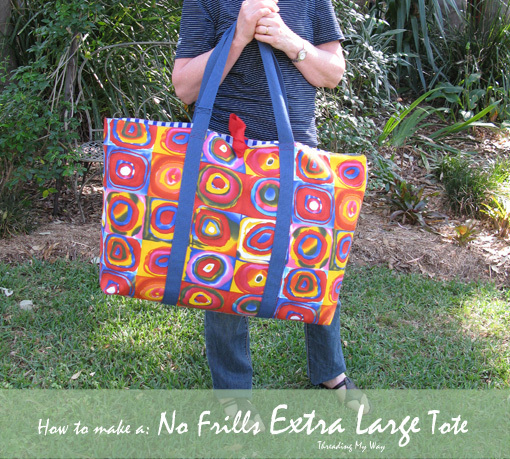 Today I'll show you how I made my No Frills Extra Large Tote. 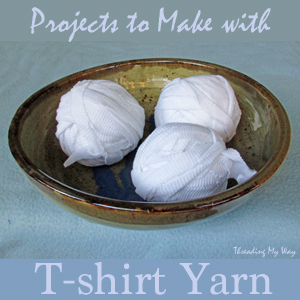 It's a super quick and easy make. When recently packing for a holiday, I realised I didn't have a bag large enough to put my pillow in, other than heavy, bulky suitcases. My pillow was only going to sit on the back seat of the car, but packing it in a light bag meant I could pop other things in with it and that would leave my hands free to carry other things when we reached our destination. So, I made my new bag large enough to fit a pillow. Thanks, Wholeport. for giving me the supplies used in this project. 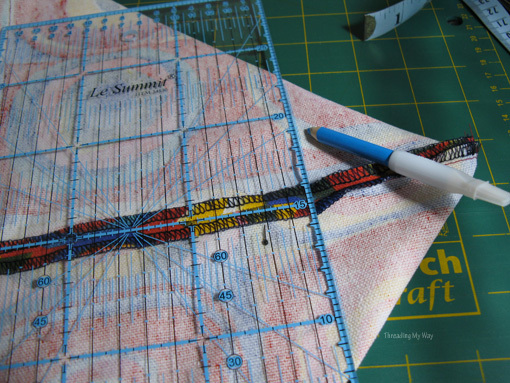 All seams are 3/8" (1cm), unless otherwise indicated. If using a home decor weight fabric, neaten the edges of all cut fabric before you sew it. When pressing, be careful to stay well away from the ribbon, as it will melt easily. If using webbing that is not cotton, keep it away from the iron also. 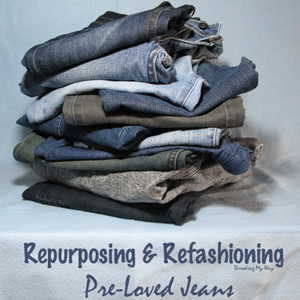 If using home decor weight fabric, use a needle for thicker fabrics, such as a denim or jeans needle. Each 68" piece of webbing forms one handle. I used cotton webbing which is very easy to sew. I have never sewn with synthetic webbing, but I feel it is probably harder to sew. 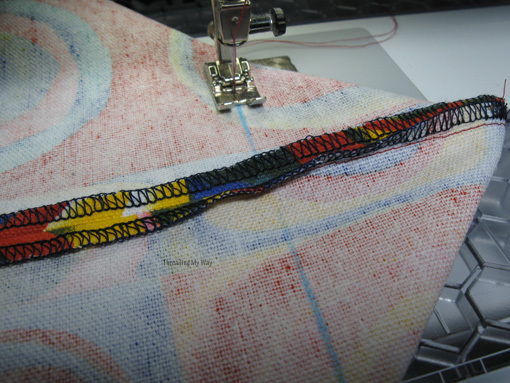 Starting at the bottom of the exterior fabric, pin the strap 9" (23cm) from the side of the bag. Take the other end of the same strap and pin 9" (23cm) from the other side. 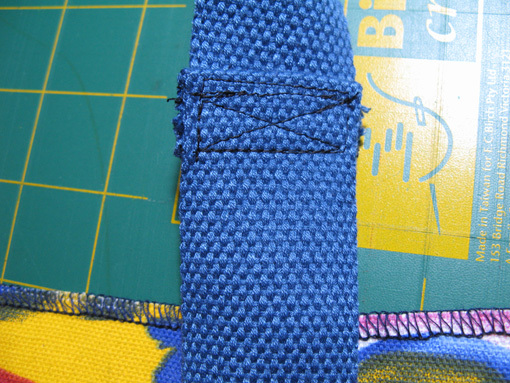 Baste the straps in place (hand sew with a long running stitch), stopping 1" (2.5cm) away from the top edge. 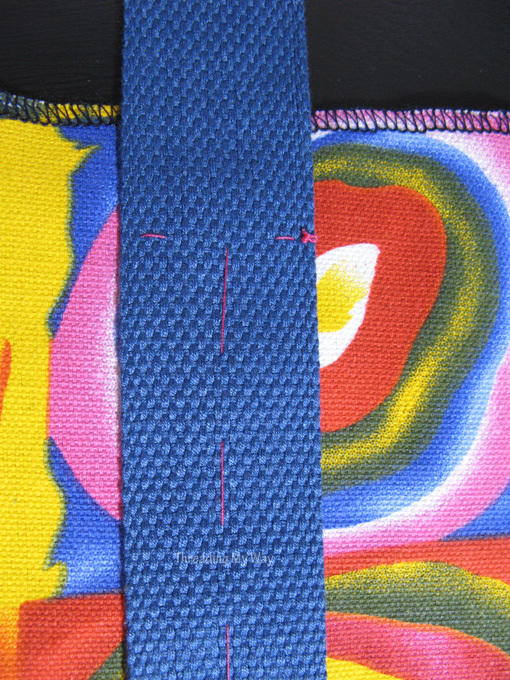 Topstitch 1/8" (3mm) from either edge of the straps, stopping 1" (2.5cm) away from the top edge. 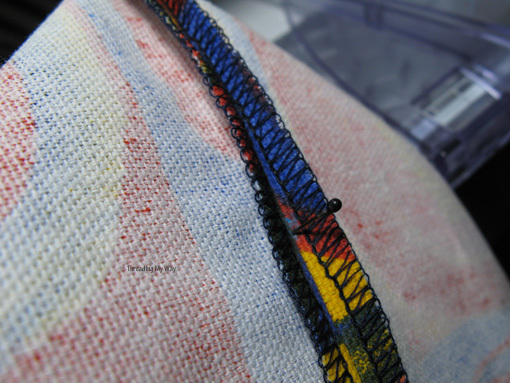 I increased my stitch length to 3 for the topstitching and used a contrasting coloured thread. Baste straps to exterior fabric. Mark 1" from the top edge, baste and then sew on either edge of the strap to that point. Confession time... I measured incorrectly and cut each strap to the wrong length. I wasn't wasting the webbing, so I joined it. When I'm carrying the bag, I don't notice the join, but I can see it clearly in every single photo. Do as I say, not as I do... measure twice and cut once, then your strap won't look like this. 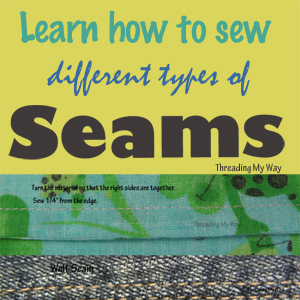 With right sides together, sew the side seams and bottom seam. Sew the two side seams first, each time starting at the top. If you didn't neaten the edges at the very beginning, do so now. Do NOT sew the sides of the seams together. 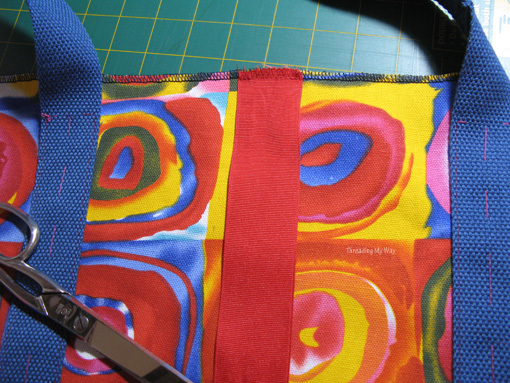 Sew each side separately. Press seams open. Don't worry that you can't press the seams open at the corners. You are going to cut these off later. Put a mark to show where 3" (8cm) is. You will have four marks, all 3" (8cm) from the bottom corners. 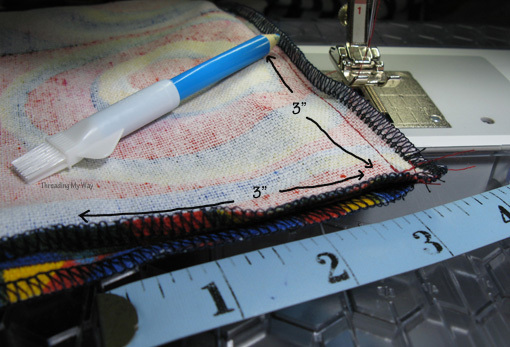 Measure 3" from the corner seam. 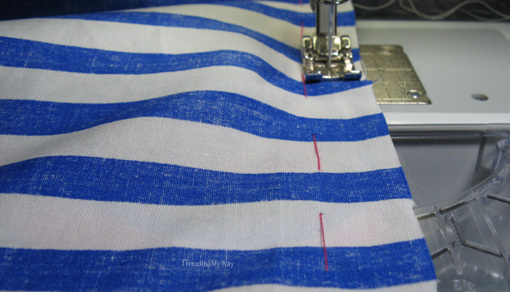 Line up the seams using a pin. 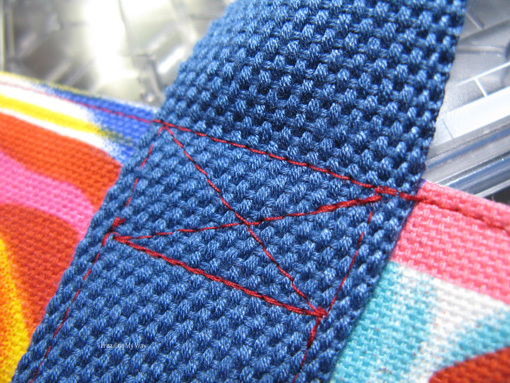 Rule a line to stitch along. 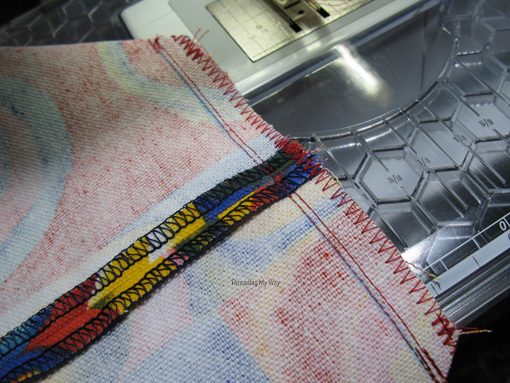 The two lining pieces are joined in the same way as the exterior fabric, except that an 8" (20cm) gap is left in the bottom seam, to allow turning later on. 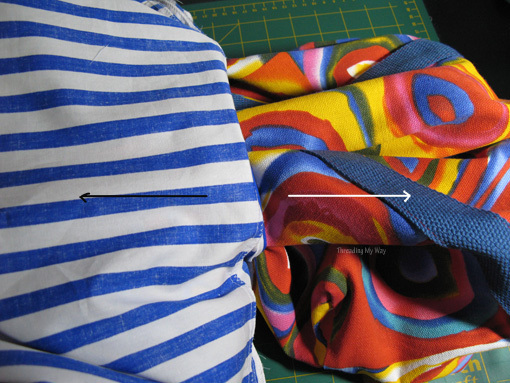 I used a thin cotton fabric for the lining and I neatened the seams after I had sewn the two lining pieces together. 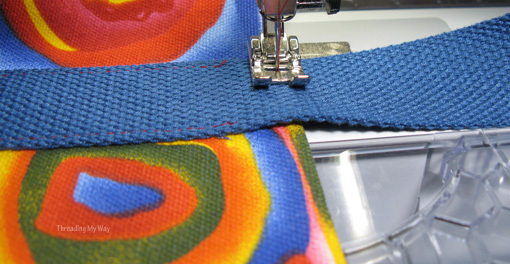 Neaten either side of the seam separately and press seams open. Make boxed corners the same as for the exterior fabric. Line up the top edges of the lining and the exterior. Tuck the straps and ribbon in between the exterior and the lining. Zig zag around the top edge. Place exterior inside the lining. Baste the top edges and then sew. Pull the exterior out through the lining. Press the top edge of the bag, making sure the iron doesn't come in contact with the ribbon (or with any synthetic webbing). Place a damp cloth over the sections with the ribbon to press. I used a damp cloth when ironing over the cotton webbing, too. If you would prefer, you could finger press instead of using an iron. Topstitch 1/8inch (3mm) from the edge, around the top of the bag. You will topstitch through the straps. Sew a box with a cross in the middle, to secure the straps to the bag. Secure the strap by sewing a box and a cross. That's it... you've finished. With all the photos, this might look like a long project, but it's not. The tutorial is taking way longer than making the actual bag. I've made my bag to fit a pillow, but I know I'll be using it for carrying other largish, but not too heavy, items. It had just begun to sprinkle lightly with rain, as Mr TMW was taking the photos yesterday. Just as well we took them yesterday, because it's been raining ever since. Mind you, I'm not complaining, as we BADLY needed the rain. And it's been good, soaking rain. Great for the garden and it will have been welcomed by the firefighters working in many areas of NSW. Just in case you were thinking I changed outfits mid photo shoot, the first photo was taken the day before the others.... a bad hair day and lots of really dorky looking photos I wasn't prepared to share. Perhaps I'm too vain... LOL!!! But I know lots of you feel like I do... very awkward in front of the camera!!! I'm slowly learning to relax a little and Mr TMW is generally very patient taking photos for my blog. 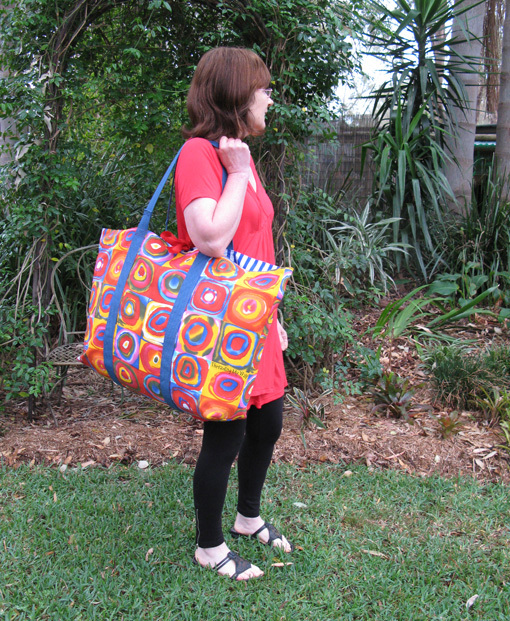 If you make a No Frills Extra Large Tote using this tutorial, I'd love you to share pics in the Threading My Way ~ Sewn by YOU Flickr group or leave me a link in the comments. Awesome bag! Thanks for the tutorial. I see a sleepover bag- it's perfect for packing a pillow, pajamas, a favorite toy...I love it! And you are so cute! We don't get to see enough of you Pam! Great post PAM . And hoe delightfully modeled !!! Over the years i made special big bags to carry my Art Works , either to or from places where they were exhibited, or to lectures where i showed them. I also used to have a weaving frame for which i made a special bag from an old skirt , thus you can imagine the size. 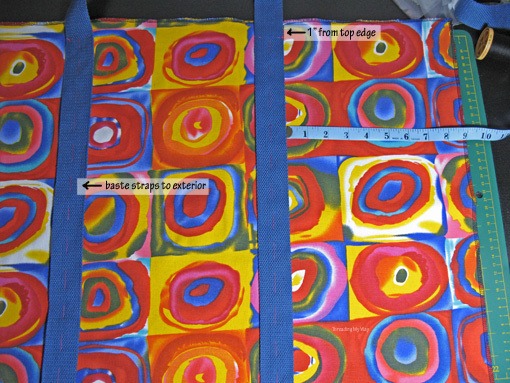 What a great tote and I think it is even bigger than the one I made last year!! My daughter grabbed it so I might have to make another like yours! Love all the photos too! Thanks for sharing. Wow that is a huge bag! 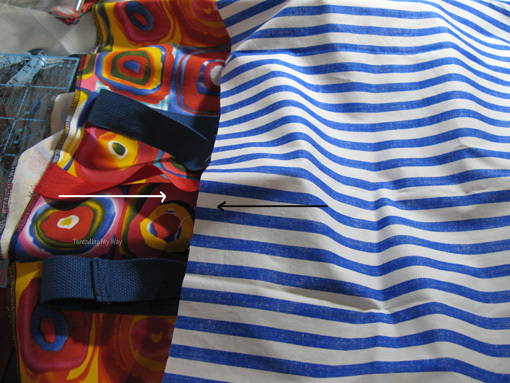 The size and the bright print got my eyes, and I did not even notice the strap joint until you mentioned it :) I like how the straps are wrapped around the bag. Thank you for the tutorial! Love your fabric on the bag Pam. Oh yes that is a nice size bag! I do take my pillow with me when I visit my sons. That would be perfect. 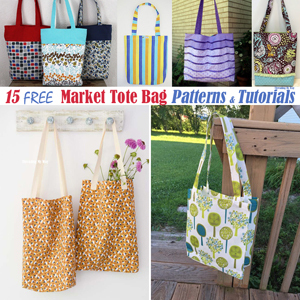 There is nothing better than a tailored bag, this tote is the best! Great bag I need to make a big bag for all the dog stuff we take on holidays with us, I might try this sometime. 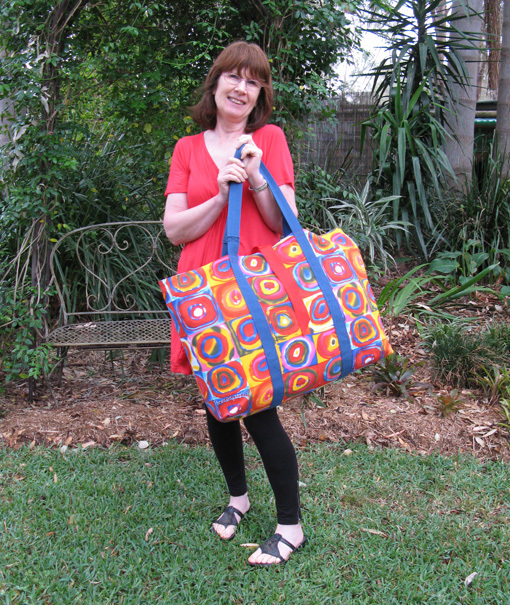 Love this bag Pam - such a useful size - and I like Amy's suggestion that it would make a great sleepover bag! Thanks for the tutorial. 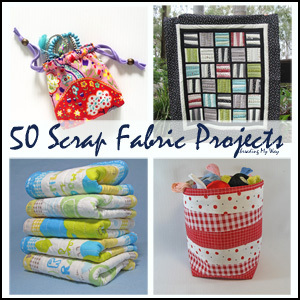 I think I will make a few of these for the friends I quilt for. They can have their own bag when they bring a quilt to me. Oh Pam. With summer beach weather well and truly in full swing here, I could do with a few more of these. Thanks for the tutorial and for linking up, as always. I'm featuring this one tomorrow. I'm making these for graduation presents this year. So excited to get started! Just saw this on your sidebar and do not know how it missed it before. I've been looking for an oversized tote idea for the upcoming beach trip. My present one just isn't large enough. It ends up being stuffed so much that my arm is sticking out uncomfortably. 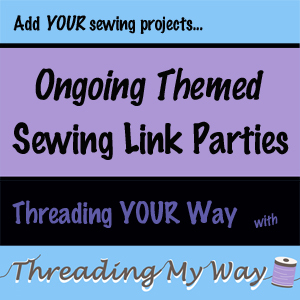 This really is my favorite sewing site. 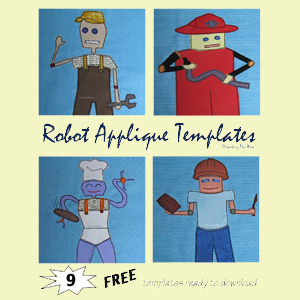 I know I will always find fun, useful, DOABLE projects here. 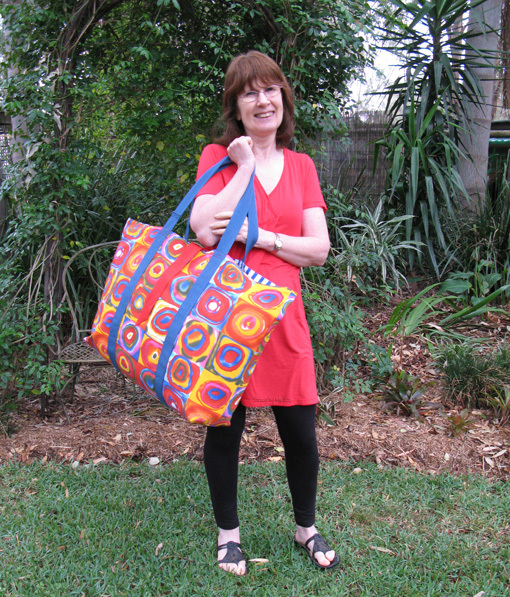 I came to your site looking for a tote bag to make....I knew I would find one here! I got a silhouette Cameo for Christmas and I want to make a bag to put initials on for a gift! This will be perfect. Thanks so much. I have to make another couple. My son borrowed mine. 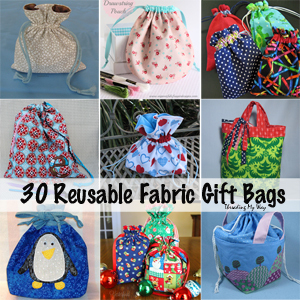 I'm making a dozen of these for our local children's shelter - they are PERFECT for the poor kids who show up with everything they own in a garbage bag. 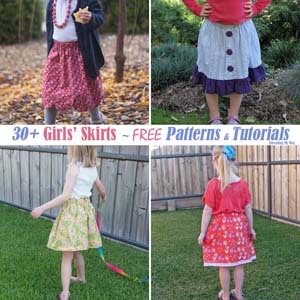 When I showed my first one to friends in Colorado, they immediately setup a sewing party to make these for the children's shelter close to them. Just wanted you to know that your work is going to a very good cause! That is wonderful, Liz!!! I'm absolutely thrilled that a tutorial I have written is helping kids on the other side of the world. Thanks so much for letting me know. How deep is the bag? I need to make one 6" deep. Thanks ou. Mine ended up at 6" deep, Roberta. HELLO -- what are the finished dimensions of the bag? I'm looking for something eco-friendly that can be used for groceries. My bag ended up at 17½" x 21' x 6". If carrying heavy groceries, I'd reinforce the stitching and seams by using a triple stitch and a double row of stitching. I would still limit the number of heavy items.